European Geophysical Services Ltd offer a diverse range of borehole logging tools that provide downhole (in-situ) information. These are used extensively in site investigation, hydrogeological studies, geothermal, mining and exploration. Borehole magnetic resonance (BMR) is one such tool that provides a measurement sensitive to both porosity and pore size distribution, and has been used in the oil and gas industry for over twenty years to evaluate storage and flow properties of hydrocarbon reservoirs. The use of BMR in hydrogeological characterisation is increasing, as recently the tool size has been significantly reduced in order to be run in boreholes that are less than ~150 mm (6") in diameter. 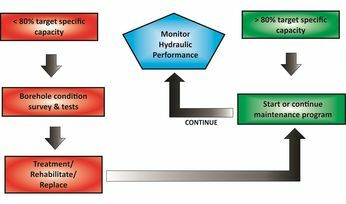 Hydrogeological parameters are typically determined using packer tests, which generally have greatest sensitivity to flow properties such as hydraulic conductivity. Measurements on core samples can also be used to characterise many hydrogeological parameters. 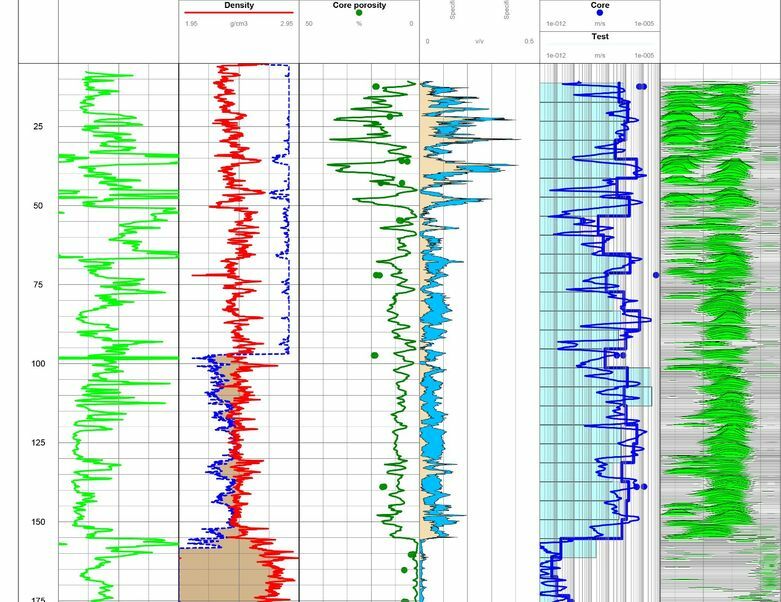 Core analysis provides characterisation of small, discrete samples of an aquifer. While packer tests sample a larger aquifer volume, they also provide only discrete measurements of aquifer properties. A significant scale difference in the range of ten orders of magnitude also exists between the two types of measurement, so reconciling both sources of data, when available, can be challenging. Acquiring core data and packer test data can also be both time consuming and costly exercises, which may limit the amount of characterisation that can be conducted on a given project. BMR provides continuous measurements of hydrogeological properties at a scale intermediate between core and packer test data, providing a convenient framework for integration of all data. BMR logging has proven to be a useful addition to data acquisition programs for ground investigation and hydrogeological applications. As it is sensitivity to both pore volume and pore geometry, it can be used to characterise both storage properties such as total porosity or water content, specific retention, and specific yield, and flow properties such as hydraulic conductivity and transmissivity. Figure 1: Comparison of hydrogeological parameters derived from core analysis, BMR, and packer testing. Core and BMR porosity are compared in Track 3, and hydraulic conductivity from core, BMR, and packer testing are compared in Track 5. 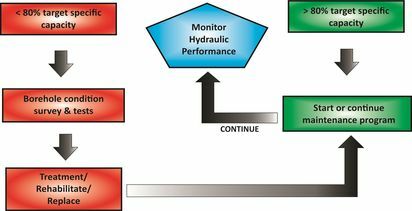 The continuous nature of the measurement allows these properties to be upscaled to any required resolution for comparison to other methods, and the data can be used to estimate both horizontal and vertical hydraulic conductivity over intervals of interest. These capabilities have made BMR a time and cost-effective tool in supporting and refining packer testing in single bore or large scale programs for hydrogeological characterisation data. In some cases, BMR has replaced packer testing when it is not practical or possible to be conducted (eg. borehole instability, high salinity formation fluid, site access issues, etc). European Geophysical Services established 1994, is a leading borehole geophysical logging video surveying company providing a large range of measurements and services to the water, environmental, mining and geotechnical industries.